Provide comfort for the family of Madalynn Gallo with a meaningful gesture of sympathy. Madalynn Jorge Gallo, age 57, passed away peacefully at her home on March 29, 2019 surrounded by her loving family. She was the beloved wife of David J. Gallo with whom she shared 34 years of marriage. She was born in Cambridge on December 2, 1961 and was a daughter of the late Jose Pais and Idalina (deJesus) Jorge. Madalynn was raised in Cambridge, MA and has lived in Westford for the past 24 years. Madalynn “Maddie” graduated from St. Mary’s High School of Cambridge, Class President 1979. She was fluent in Portuguese and member of the Portuguese Baptist Church in Cambridge. Maddie earned her Bachelor of Arts from Boston University in 1983. She worked for various insurance companies and agencies until she started her family. Maddie was a devoted wife and mom who dedicated her life to loving her children, family and friends. Maddie was a great cook who loved to host family and friends. For over twenty years, she was an active member of Grace Community Church in Chelmsford, where she served ministries and participated in activities focused on helping people. She enjoyed meeting new people, showing compassion and spreading love. Maddie was an avid reader and cherished being part of her book club. She loved to travel and enjoyed taking long walks with good friends and her dog Jordan. Madalynn is survived by her children; Joshua Gallo of Tampa Fl, Rachel (Gallo) Burgoyne, Son-in-law Stephen Burgoyne of Westford, Olivia Gallo of Westford, and her husband David Gallo. She is survived by her granddaughter Lila Gallo and her brother Anthony Jorge and Sister-in-law Christine Jorge of Chelmsford. She is survived by her Sisters-in-Law Linda Loprete and Lisanne Gallo and Brothers-in Law Robert Gallo, Richard Gallo, Michael Gallo, and Daniel Loprete as well as a loving Aunt to many nieces and nephews. She is predeceased by her father Jose Pais Jorge and her mother Idalina Jorge. Visiting Hours will be held on Wednesday from 4:00 - 8:00 pm in the BLAKE CHELMSFORD FUNERAL HOME, 24 Worthen St., CHELMSFORD. Funeral service will be held on Thursday at 10:00 am at the Grace Community Church, 275 Billerica Rd., CHELMSFORD. KINDLY MEET AT THE CHURCH. Interment to follow the service. In lieu of flowers, expressions of sympathy may be made in Madalynn's memory to Breast Cancer Research Foundation at www.bcrf.org. 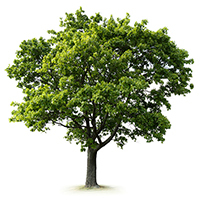 To plant a memorial tree in honor of Madalynn Jorge "Maddie" Gallo (Jorge), please visit our Heartfelt Sympathies Store. We encourage you to share your most beloved memories of Madalynn here, so that the family and other loved ones can always see it. You can upload cherished photographs, or share your favorite stories, and can even comment on those shared by others.